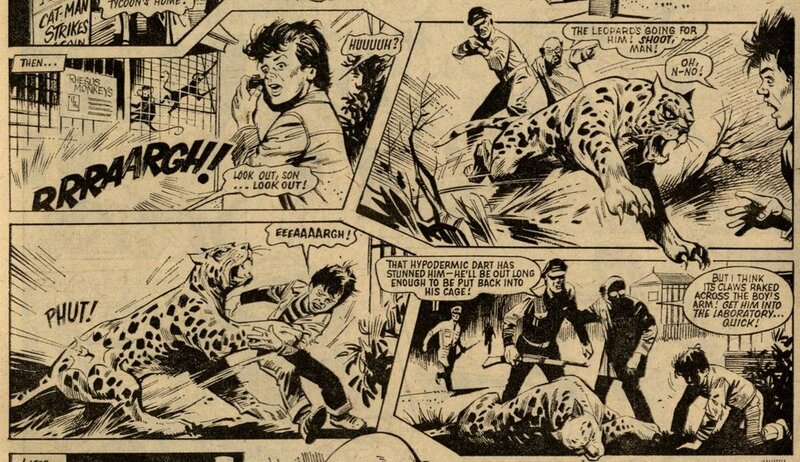 Who loves ya, leopard boy? 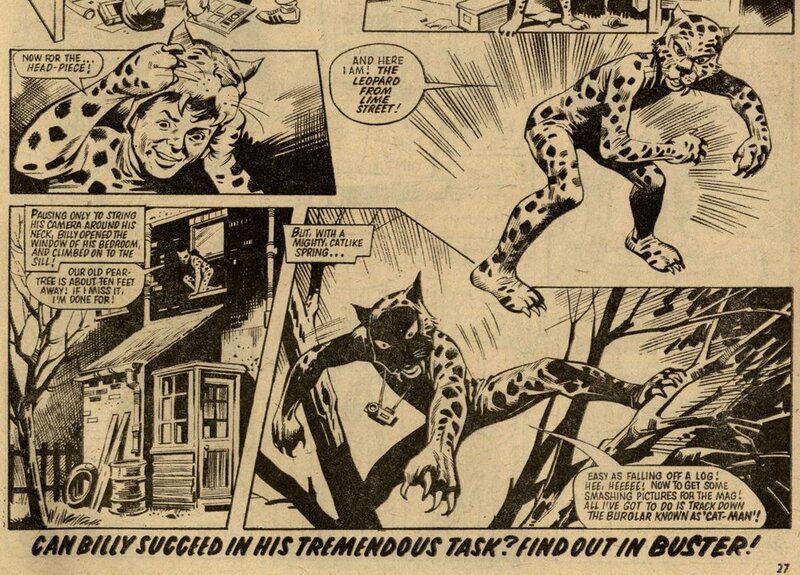 Crowjak was the main cover star, but this issue of Buster saw the beginning of one a British comics classic in The Leopard from Lime St.
‘The leopard suffers from a rare disease and we’re treating it with a new kind of radioactive serum ...’ What could this possibly mean? 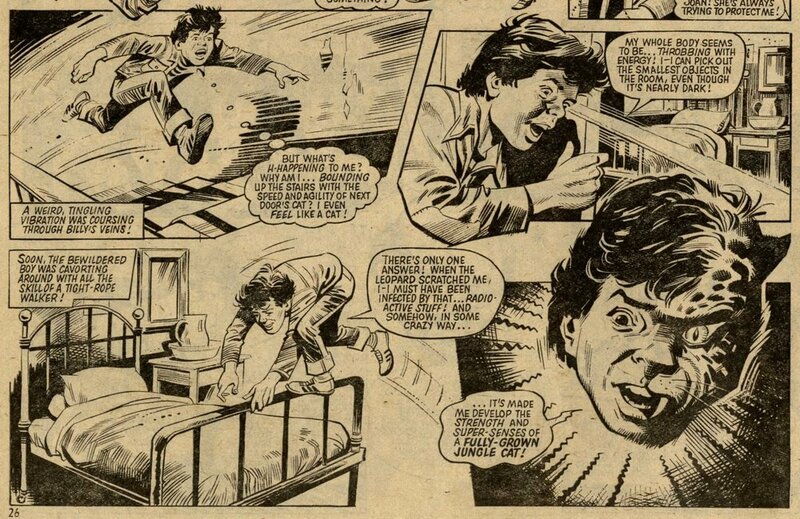 Mike Western was the artist on Billy Farmer’s origin story.